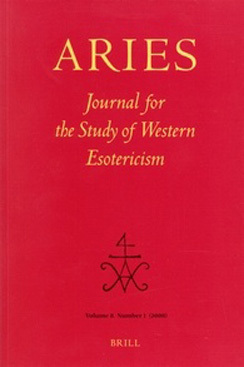 Since 2001, the Journal of the Western Mystery Tradition (JWMT) has worked to publish diverse perspectives on the occultisms, magical practices, mysticisms and esotericisms commonly known as the “Western Mystery Tradition.” The JWMT is expanding the work of the web journal through its first conference. The JWMT conference is a two-day event open to scholars, students, practitioners, and the public. The keynote speaker is the Journal’s founder and publisher, Dr. Jeffrey S. Kupperman. The study of western esoteric practices has risen greatly over the last decade, focusing on Antiquity, the Middle Ages and the Renaissance. Modern magical practices and beliefs, outside of the realm of modern Paganisms and the New Age, have received little attention. Further, practitioners have had little opportunity to present their work, either as papers or in the form of ritual practice, outside of the internet or small groups. The focus of this conference is the movement of contemporary western esotericisms, loosely construed as the “western mysteries,” and their transition from the 20th to the 21st century. The Journal of the Western Mystery Tradition Conference 2012 is seeking abstracts for presentations, panels and practices centered on this broad subject. 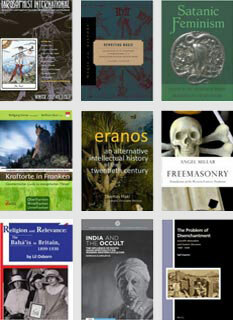 The relation of the esotericisms to orthodox and mainstream practices and society at large. We welcome presentations, panels and practices focusing on methodological and theoretical issues in relation to the contemporary study and practice of the various western esoteric currents. The conference encourages an interdisciplinary approach and welcomes perspectives from the disciplines of religious studies, theology, anthropology, sociology, psychology, philosophy, history, political science, as well as active practitioners. Papers should last 20 minutes, with time for questions and answers. Panels and practices will be scheduled for up to an hour, with time for questions and answers afterwards as necessary. Please submit abstracts (approx. 200 words), proposals for a themed panel (with three presenters, moderator as necessary, and short description) or proposals for a ritual practice and discussion to . Deadline for submissions is April 15, 2012. No attachments please; copy and paste your abstract or proposal in plain text into the body of the e-mail. Submissions are not limited to academics or professional scholars. Include a brief (no more than one page) CV listing any qualifications, academic or otherwise, relevant to your proposal.